PennsylvAsia: "The Dynamics of a Duo: Perceptions and Reflections of Gender, Nationality, and Identity in Yamamura Misa," February 23 at Pitt. "The Dynamics of a Duo: Perceptions and Reflections of Gender, Nationality, and Identity in Yamamura Misa," February 23 at Pitt. The University of Pittsburgh's Department of East Asian Languages & Literatures will host M.A. candidate Ali Richardson and her talk "The Dynamics of a Duo: Perceptions and Reflections of Gender, Nationality, and Identity in Yamamura Misa" on February 23. Writing through the 1980s and into the 90s, Japanese detective author Yamamura Misa's Katherine series uses mystery and romance to explore the changing dialogue surrounding individual identity within Japan during an era of increasing globalization and cultural influence. 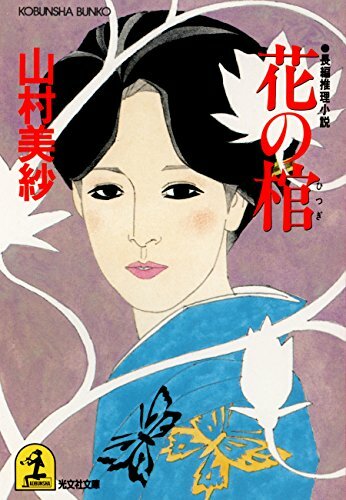 By examining how characters relate to and manipulate assumptions about one another (and thus manipulate those of the reader), I discuss how Yamamura's depictions of an American girl in Japan encourage readers to justify and perhaps modify their own perceptions of gender and nationality on both sides of the Pacific.